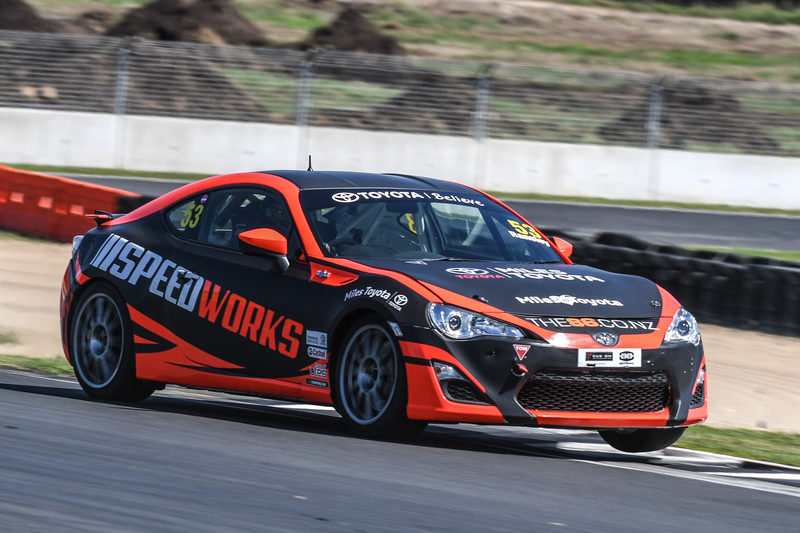 Top racing duo Andrew Jackson and Leo Bult have this week confirmed they will step up to NZ Championship level next season when they share a full campaign in the forthcoming Toyota 86 Championship aboard the ex-Speed Works and Jaden Ransley car. The new team will run under the banner of Darkhorse Racing and the two drivers will race three rounds each. Jackson will race the car at the Supercars Championship event that opens the season and will drive the last two rounds of the championship at the New Zealand Grand Prix meeting at Manfeild in February and the season finale at Hampton Downs in March. Bult will be in the hot seat for the December Pukekohe short course round, then will race both of the South Island events at Highlands Motorsport Park and Teretonga. The two will share duties at the non-championship endurance round in Taupo in April. Although the pair are new to the category, they bring a huge amount of racing experience to their campaign. Andrew has six years circuit racing experience and Leo a further three, while both have around 15 years of karting experience at a national and international level behind them as well. Leo also rallied for many years in the early years of his motor racing career and that included rounds of the World Rally Championship in Europe as a co-driver. With titles, race wins and several seasons of success behind them in the national Mazda series, the two are looking forward to taking on the best up and coming racers in New Zealand in the Toyota 86 Championship category. As the new team name suggests, Andrew and Leo are focused on springing the odd surprise and turning a few heads in the car, which will be backed by long-time sponsor Safepak and a soon-to-be announced title sponsor. It’s a racing season that both are looking forward to, and not without a hint of humour given that they will be the most ‘senior’ drivers in the highly competitive field. “With Leo being the oldest driver in the field and myself the second oldest we’ve had to cut down on the red wine a fair bit and do a lot more dog walking as we look to get a bit fitter,” laughed Andrew. “Seriously though, we are under no illusions. For us it’s the next level. We want to experience the professional nature of a championship like this and give something new a good go. We’re not getting any younger so why not? It’s going to be a very tough season and one which we hope to use to learn a lot about the car and what we need to do to extract the best out of it and us. We have already had the car apart and put it back together to see what we are dealing with. John Zidich and Jeff Fuller are our two race engineers and mechanics and we will be relying on their considerable knowledge to ensure we are moving in the right direction from testing to starting the season. Darkhorse Racing’s championship will begin at the Supercars Championship event at Pukekohe Park in November before the series joins the Speed Works Motorsport NZ Championship for round two on Pukekohe’s original ‘short course’ configuration. The championship then heads south for weekends at Highlands Motorsport Park and Teretonga before heading to the New Zealand Grand Prix meeting at Manfeild Circuit Chris Amon in February. It concludes at Hampton Downs in March with a non-championship endurance racing weekend in Taupo a month later. Caption: Andrew Jackson and Leo Bult will campaign the ex-Speed Works Toyota 86 for Darkhorse Racing in this coming season’s Toyota 86 Championship.